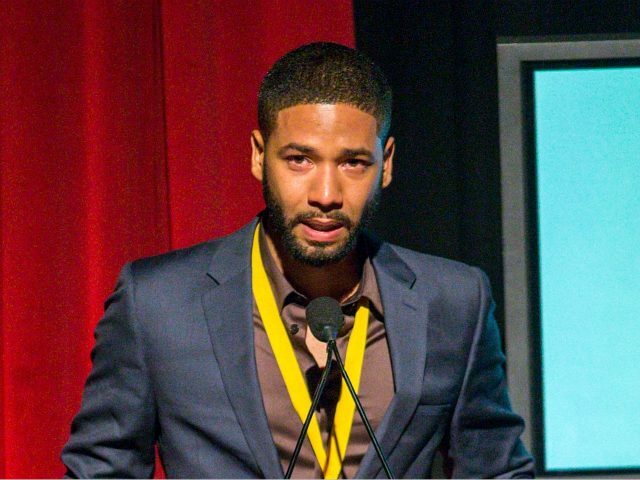 Despite all charges being dropped against Empire star Jussie Smollett Tuesday, the actor reportedly still faces an FBI investigation for mail fraud. Fox News reported on air Tuesday that the FBI is still looking into Jussie Smollett allegedly sending himself a death threat letter through the mail. “A spokesperson for the FBI, we just reached out to, and they tell us ‘no comment.’ All along, the FBI–which is, you know, usually very quiet, did not weigh in on their investigation,” an FNC reporter said on air. “But, Jussie Smollett, according to Chicago police, allegedly sent himself a death threat letter just one week prior to the alleged hoax,” the reporter continued. This aligns with reporting from ABC7 Chicago, which confirms that Smollett is still being investigated by the FBI. News broke Tuesday that all charges related to Smollett allegedly staging a fake attack against himself in January were dropped.